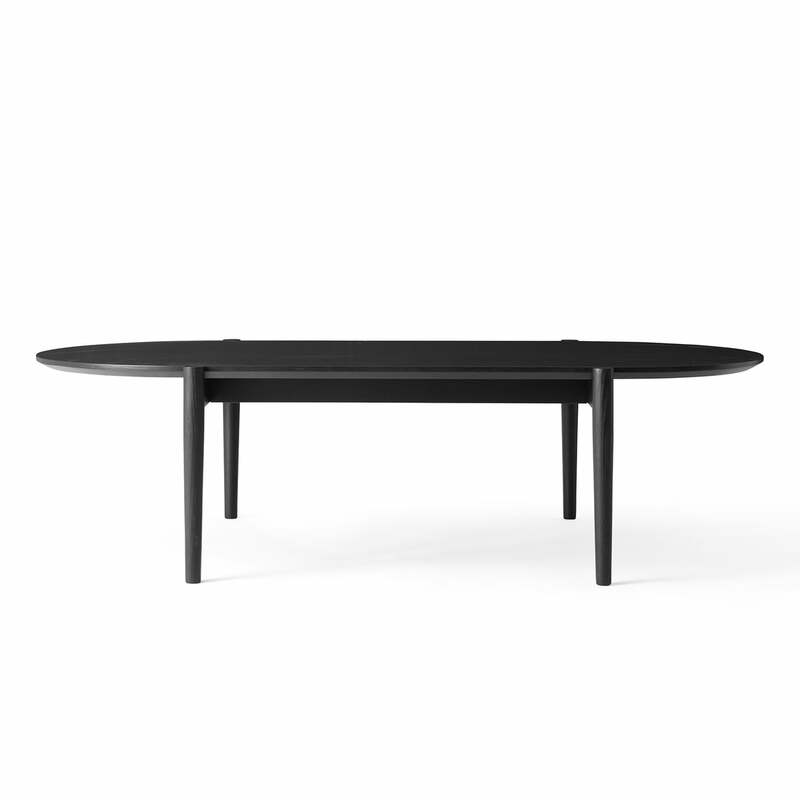 The Septembre coffee table by Menu complements the sofa and the chair from the Septembre collection by Theresa Arns. 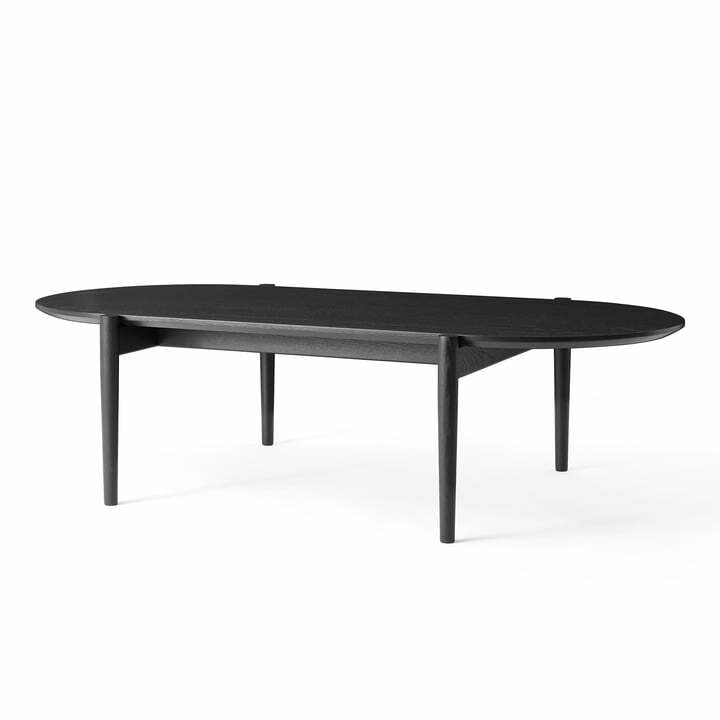 Just like the seating furniture, the table is made of ash wood and fits in wonderfully with the seating area. Books, flowers, candles, as well as drinks and snacks will now have a place next to the cosy sofa. The dark wood gives the oval table top with four round table legs a very noble character. Theresa Arns is a German fashion designer. After studying in Copenhagen, she stayed there instead of going back to Germany. She started practical furniture design that exudes a certain cosiness. 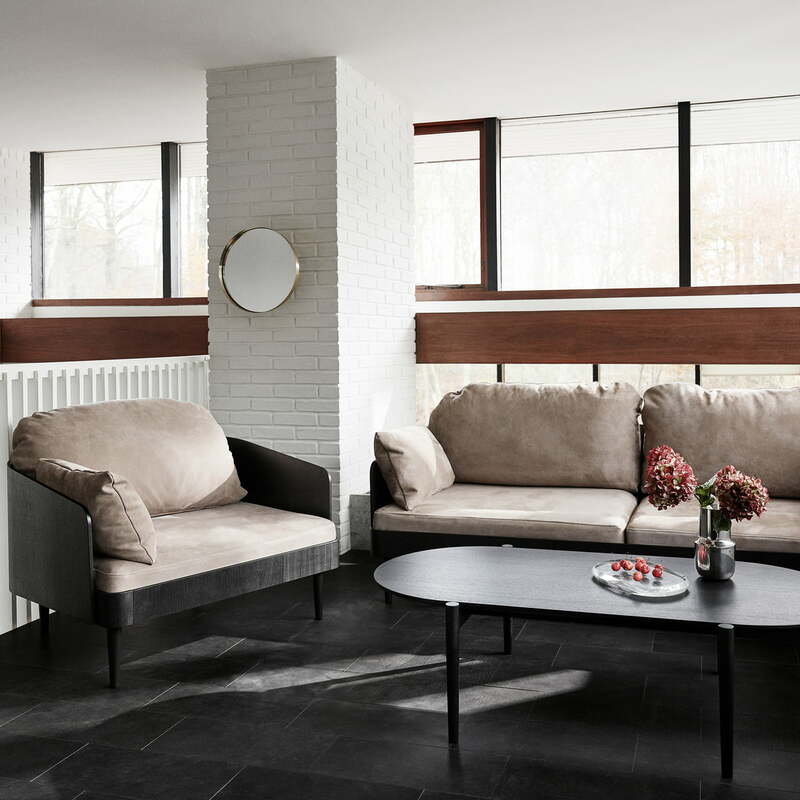 The oval coffee table as well as the sofa and chair bring soft, gentle shapes to the living room and invite you to relax, alone or with family and friends. 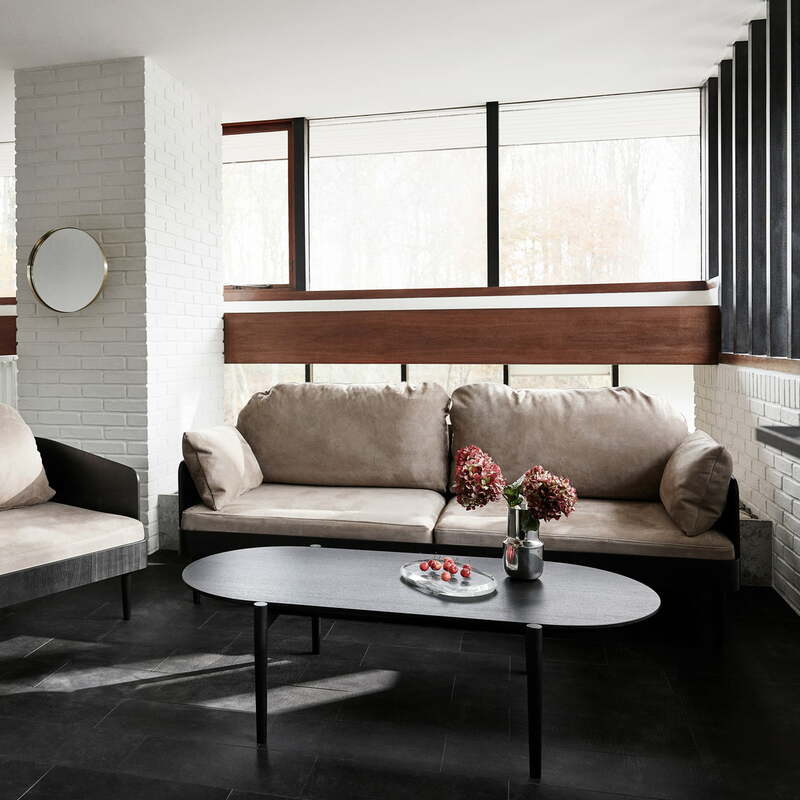 Together, the sofa, armchair and coffee table from the Septembre series by Menu create a stylish and comfortable seating area. All 3 pieces are made of ash wood - the sofa and armchair are also upholstered in light colours.